On Wednesday September 12, 2018, at approximately 11:00 a.m., Isiah J. Jarrett, 33, of the block of 5000 Graceland Boulevard, Mt. Pleasant, WI, was at the Lake County Courthouse for a hearing on an Aggravated Driving Under the Influence case, where he was the defendant. Jarrett was not in custody at the time of the hearing, and came to court of his own volition. During the hearing, a Judge increased Jarrett’s bail to $50,000.00 after he failed a drug screening. A Court Security Officer began the process of remanding Jarrett to the Lake County Jail. As the Court Security Officer began to take Jarrett into custody, he resisted arrest, pushed away from the Court Security Officer, and ran out of the courtroom. Jarrett ran down a stairwell and exited out a ground-level door. Prior to exiting, Jarrett pulled a fire alarm, which prompted a full evacuation of the building. Jarrett entered an awaiting vehicle — a silver 2008 Chevrolet Uplander — and the occupants and the vehicle fled the area. The vehicle and a driver were located in the area of Route 120 and Green Bay Road, Waukegan, by members of the Court Emergency Response Team. They conducted a traffic stop on the vehicle, however, Jarrett was no longer inside. An investigation is underway to determine the driver’s involvement in fleeing the scene. Jarrett is approximately 5’7,” 145 LBS with short black hair, brown eyes. Isiah J. Jarret no longer has facial hair as depicted in the attached previous booking photo. He was last seen wearing a dark blue t-shirt and blue jeans. Sheriff’s Deputies are currently working to obtain an arrest warrant for Escape and Resisting Arrest. 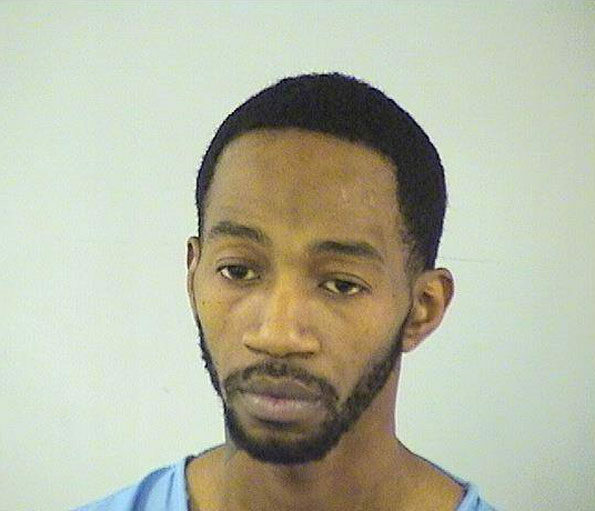 Isiah Jarrett resisting, escaping in Lake County (Law enforcement photo).